A very nice project to learn more for community's Ardurover project. Developer Which Maxbotix sonar should be the standard? 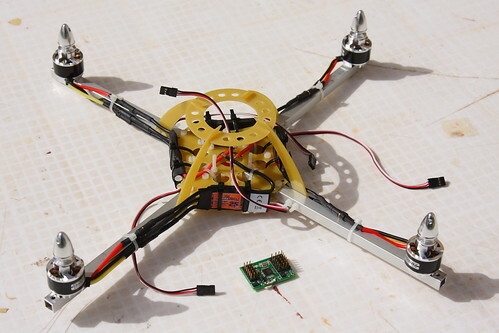 Developer Quadcopter flight with the FCWii board and the Wii Motion Plus and Nunchuk MEMS sensors. ﻿Here a video of a test flight of my Quad Rotor Observer (QRO) v8 with the FCWii board and the Wii Motion Plus (gyroscopes) + Nunchuk (accelerometers) MEMS sensors. The tests flights have been successful, the model was very stable in spite of the bad weather conditions. 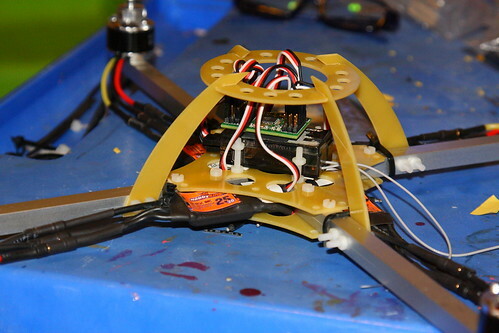 DIY Drones and Sparkfun AVC featured in Documentary. 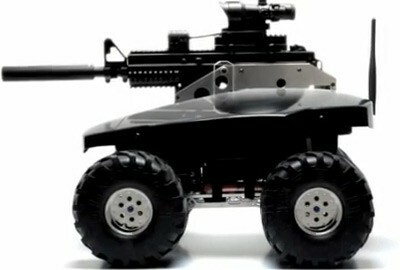 Though quite brief the Canadian documentary " Remote Control War Zone" Showed clips of the Sparkfun autonomous vehicle competition and briefly interviewed Chris Anderson. The doc is very interesting to watch but I believed it to be exaggerated and put Amateur drones in a bad light as a evil technology that could be used by other countries for wars. 3D Robotics Neighborhood "pocket airports" for tomorrow's UAVs? Somehow I missed this when it came out in December, but NASA is running a competition for low-cost, energy-efficient autonomously-pilot passenger vehicles, which would take off and land from small "pocket airports" in neighborhoods. NASA is hoping for a winner of the autonomous challenge by 2015. I know this is a military drone, which we don't cover here, but I was taken by the screen shots of the ground control center of the X-47B, which had its first flight a few weeks ago. HappyKillmore--yours looks way better! 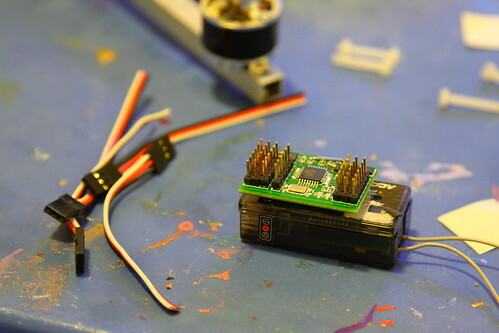 3D Robotics New IMU board for Paparazzi--but is it open source? The Paparazzi team have released a new IMU board called Asprin. 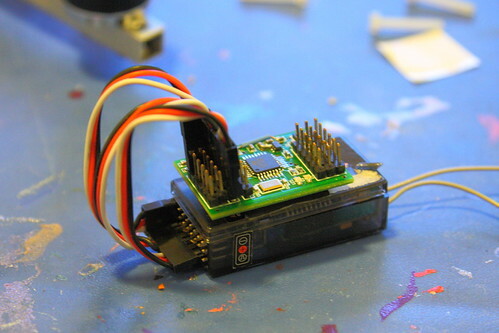 It's just the accelerometers, gyros and magnetometer sensors (no processor) and is available for $110 at Joby Robotics. Hi all ! First of all, let me introduce myself : I'm Pierre from the north of France. I'm a RC sailboats enthusiast since my childhood. We've now got more than 40 retailers and distributors selling 3D Robotics gear around the world, in addition to the main store here. You may want to shop at one near you, both to save on shipping and support local robotics companies.